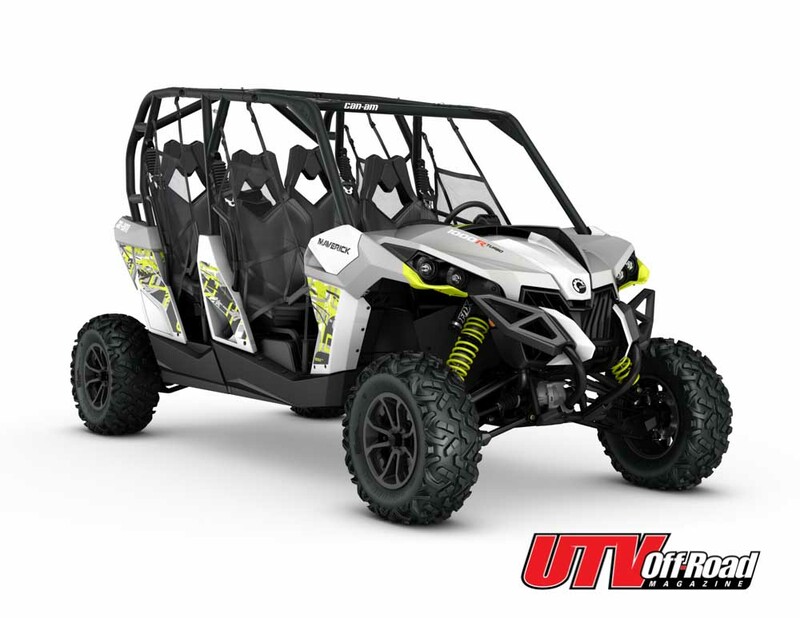 For 2016, Can-Am aggressively revised its ATV and side-by-side vehicle lineup, by delivering more of what enthusiasts are asking for, including increased power. 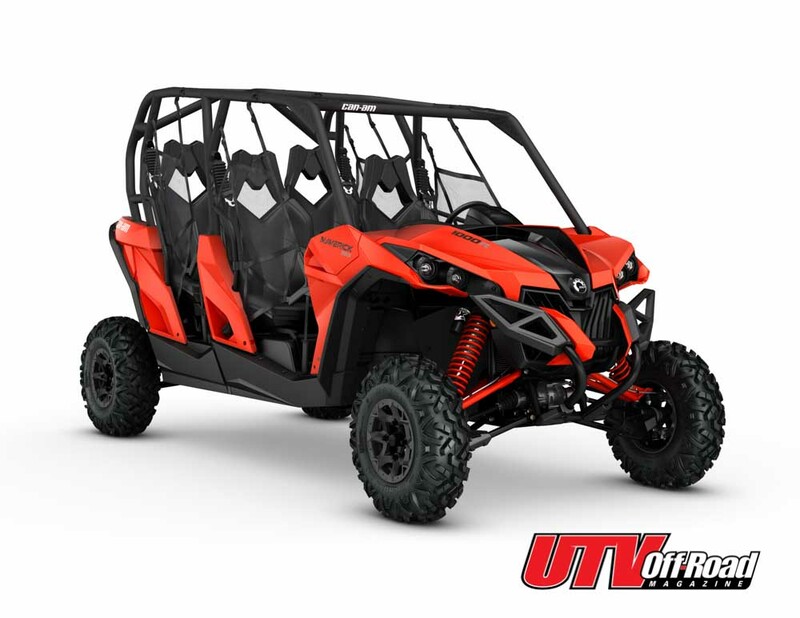 The performance increase includes three ATV engines and boosting performance of the flagship Maverick™ 1000R Turbo engine. 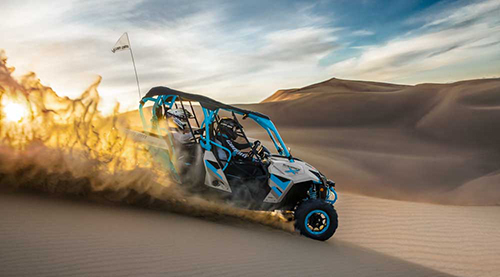 Along with additional performance, new specialty vehicle packages join the family in 2016, giving Can-Am its most diverse lineup ever. 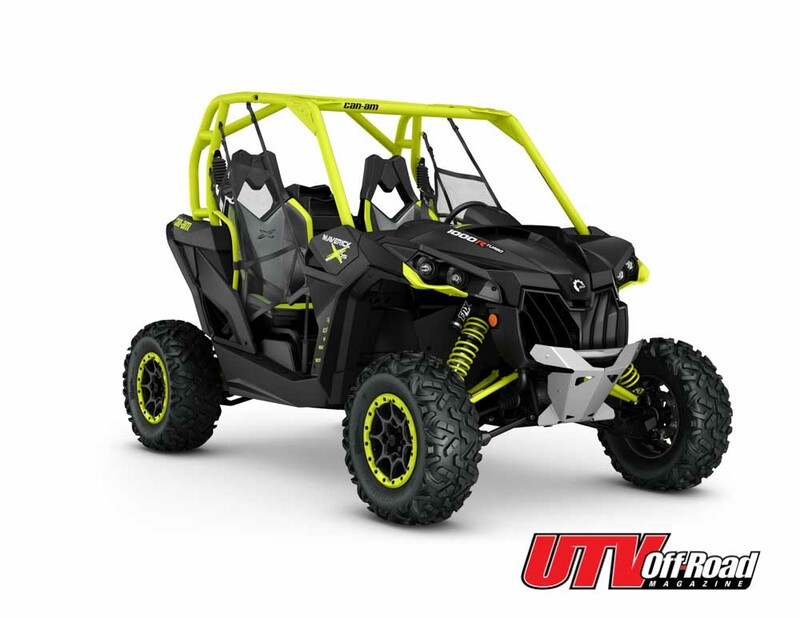 From the affordable, mud-specific Outlander® L 570 X® mr ATV and new Maverick 1000R TURBO, to the all-new Maverick X rs 1000R TURBO and Mossy Oak† Hunting Edition vehicles, Can-Am has vastly expanded its off-road family. 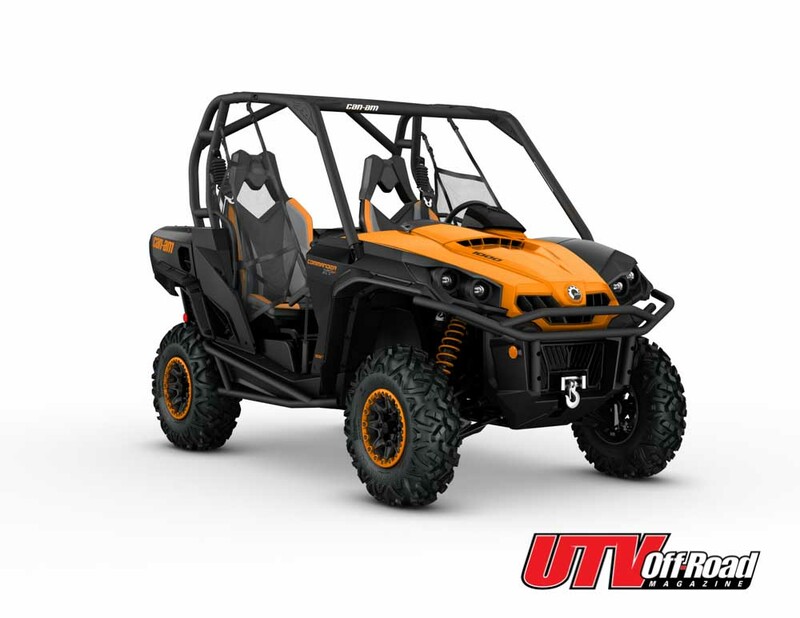 On top of that, by improving maintenance break-in procedures across the entire Outlander, Renegade® and side-by-side vehicle lineups, Can-Am has also given owners peace of mind they are getting class-leading performance and unmatched reliability. 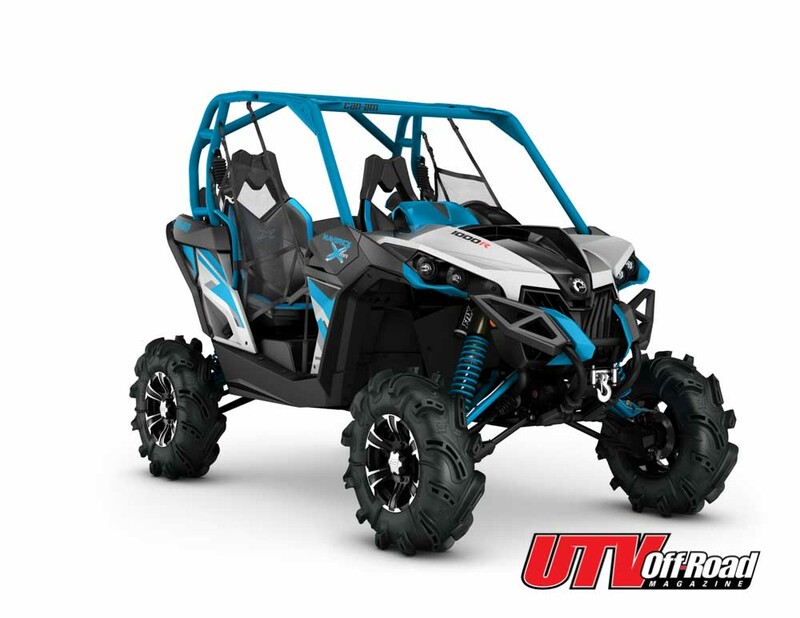 Can-Am engineers, through persistent research and development progresses over the last two years, has enhanced 80% of the Rotax® ATV engine family to reinforce its performance leadership and maintain industry-leading power. 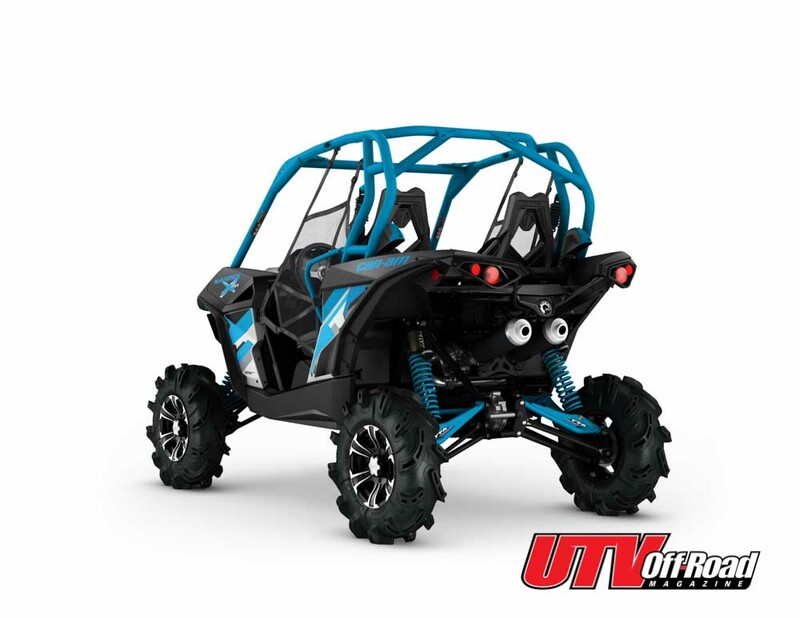 Four engines get updated for 2016; the new 570, 850 and 1000R ATV mills and the revised 131-hp, Rotax 1000R Turbo. 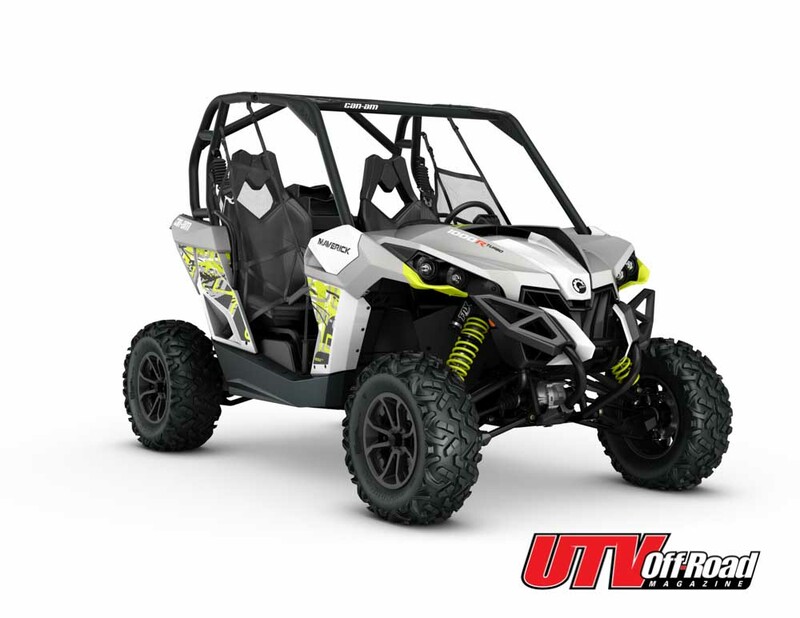 The revised 78-HP liquid-cooled V-Twin Rotax 850 gained 7 hp for 2016, offering the most performance in its class. 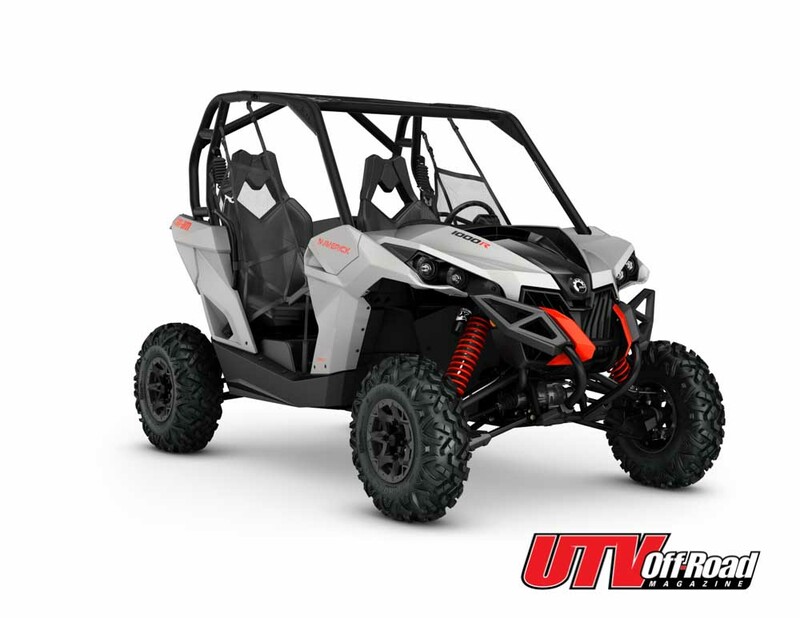 The new engine offers 9% more power and additional torque (+7%) and was derived from larger pistons and both a throttle body and engine head from the Can-Am Maverick side-by-side vehicle. 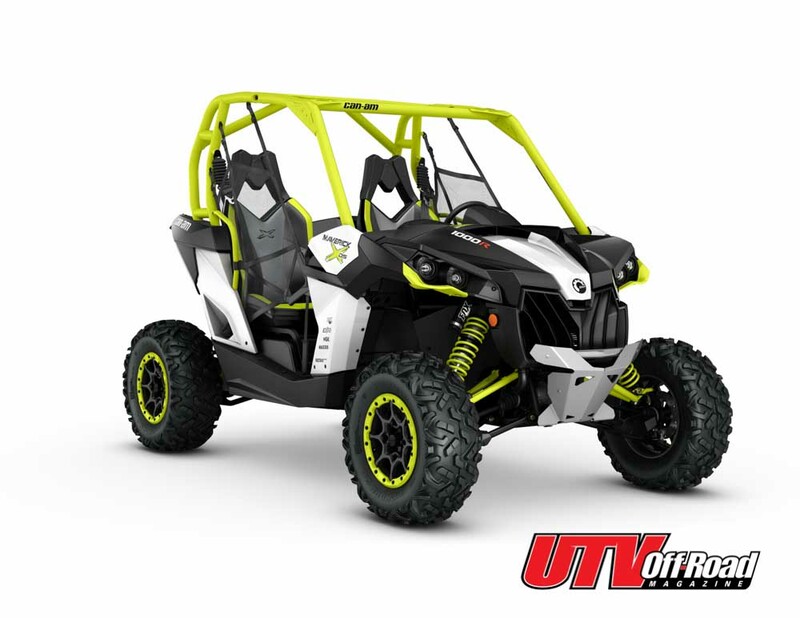 A revised, liquid-cooled, 976cc, 89-hp Rotax 1000R V-Twin engine is the most powerful ATV engine in the Can-Am family and leads the big-bore market in performance. For 2016, the flagship Rotax 1000R has an additional 7 horsepower (9% power increase). 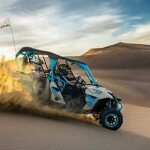 Can-Am engineers added new pistons, a Can-Am Maverick side-by-side vehicle engine head and throttle body. 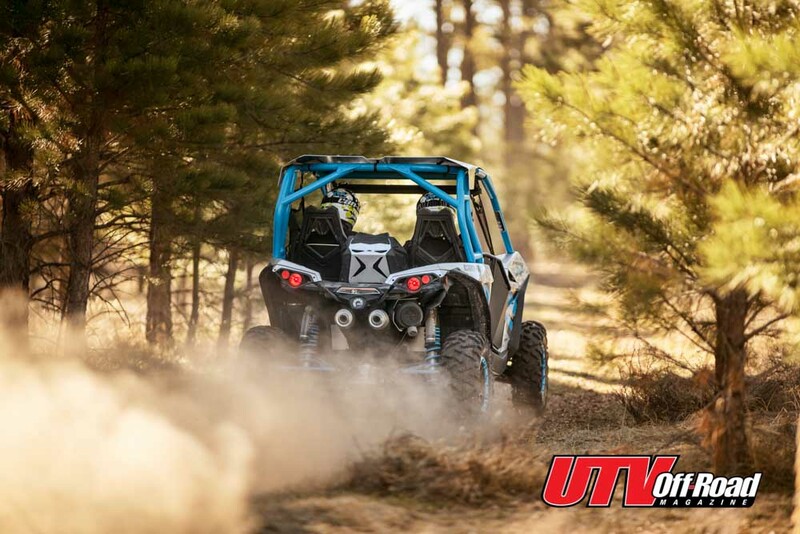 The industry’s most powerful engine has undergone more significant change since its introduction in the Maverick X ds 1000R Turbo last year. 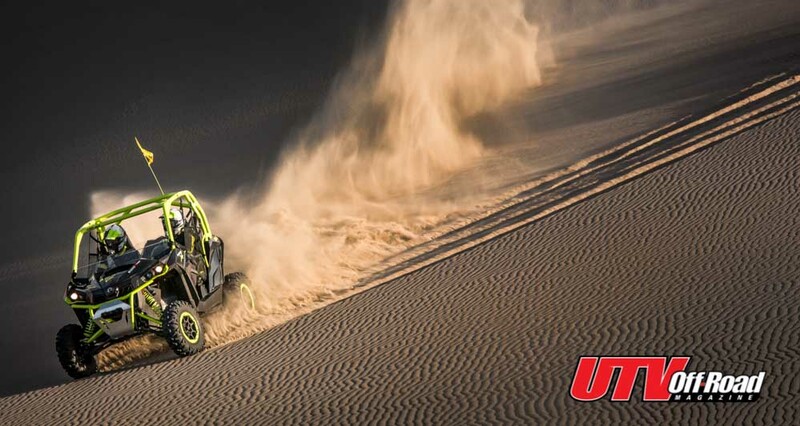 The first factory-installed turbocharger has been revised for 2016 to increase its overall, class-leading performance to 131 horsepower and enhance its torque curves. 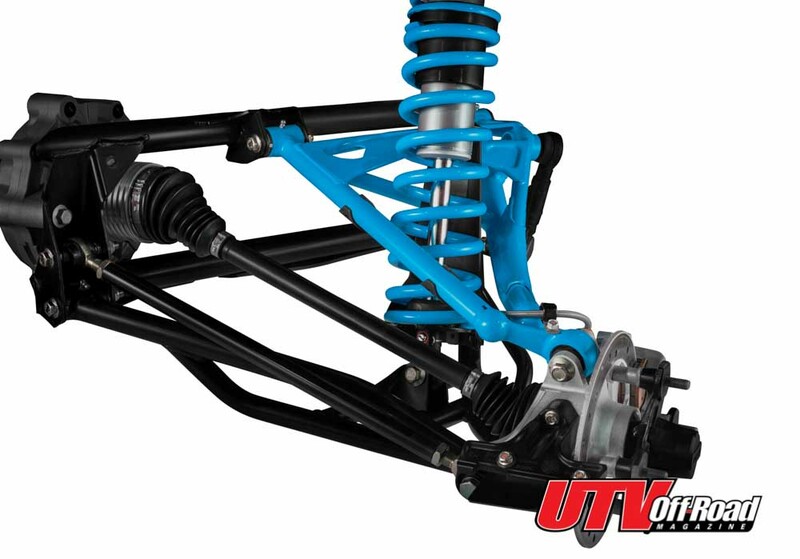 Adding larger injectors, increasing boost pressure and recalibrating the CVT are some of the significant updates for the new year. 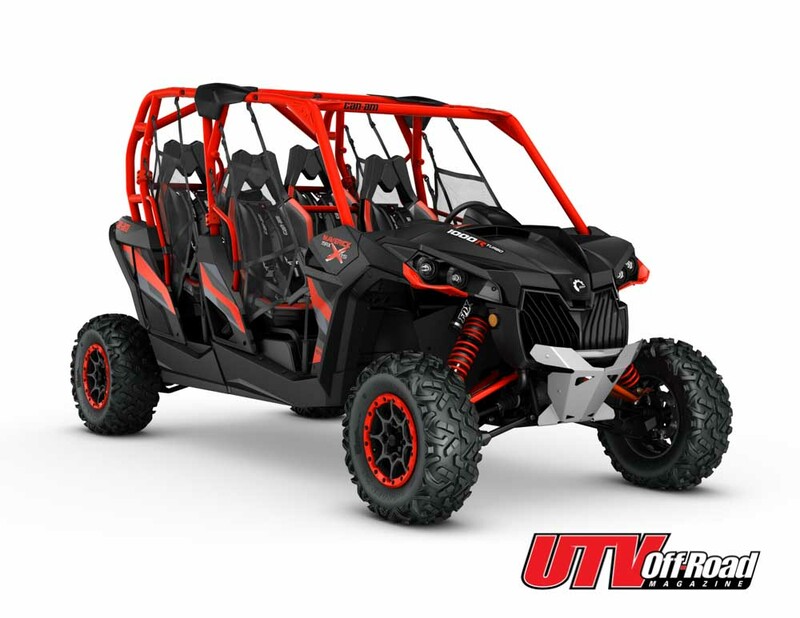 The Maverick family of sport side-by-side vehicles now includes a Dynamic Power Steering (DPS) package, which falls between the base offering and the X packages. The Maverick 1000R DPS includes cast-aluminum wheels, Visco-Lok QE†, Tri-Mode DPS and is available in two color options. 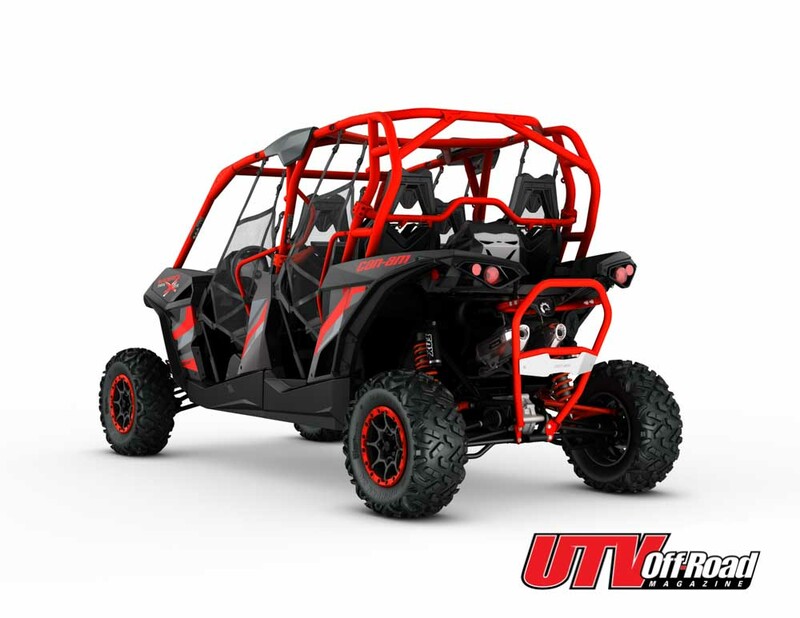 The all-new, affordable Maverick xc DPS 1000R is purposely designed to offer precision performance and a 60-inch width for narrower trails. 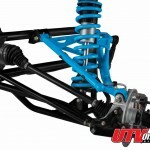 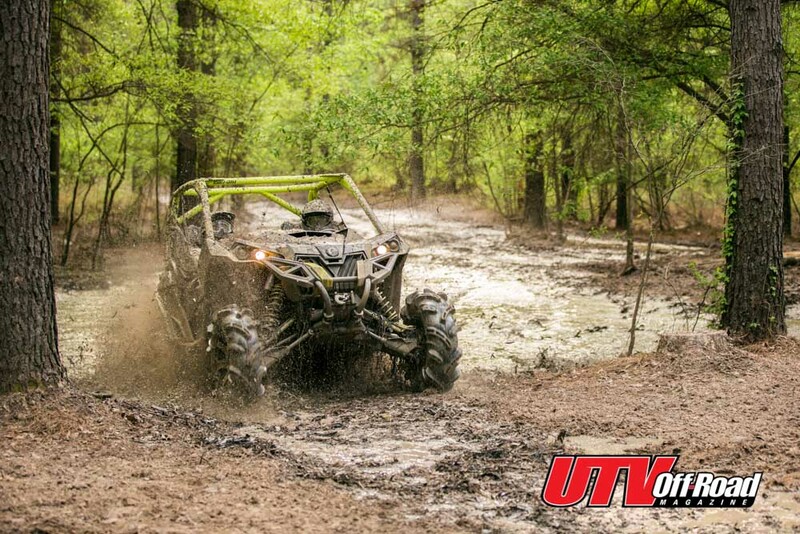 The Maverick xc 1000R offers 12 inches (30.5 cm) of suspension travel. The new Maverick 1000R TURBO, also available in a four-seat MAX platform, is the most affordable turbocharged side-by-side vehicle in the industry. Based on the X ds platform, the Maverick 1000R TURBO vehicles are powered by the 131-hp Rotax 1000R turbocharged engine and wear front and rear FOX 2.5 PODIUM RC2 shocks with single-speed compression and preload adjustments. This package includes 14-inch (35.6 cm) painted black cast-aluminum wheels with 28-inch (71 cm) Maxxis Bighorn 2.0 tires. 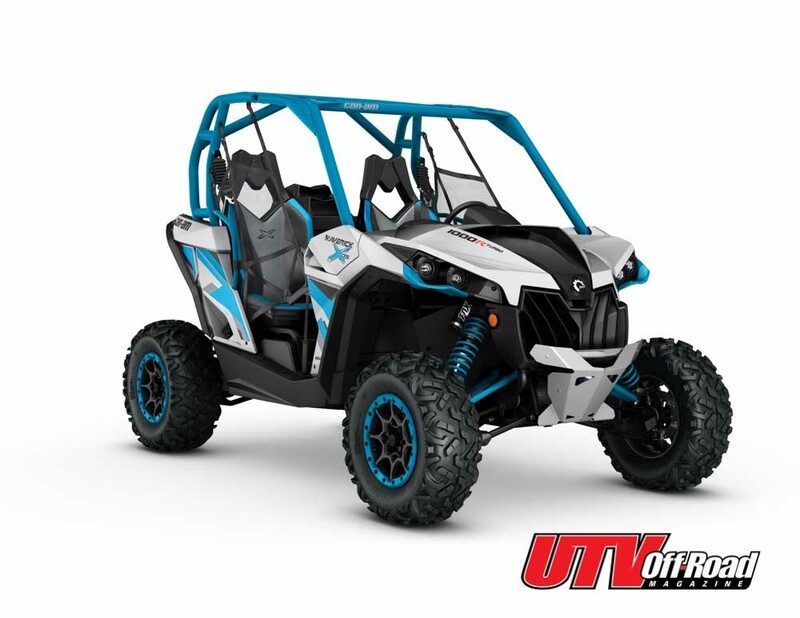 Using racing feedback and advancements gained from Can-Am racing efforts, the X rs (Race Special) package is truly unique. 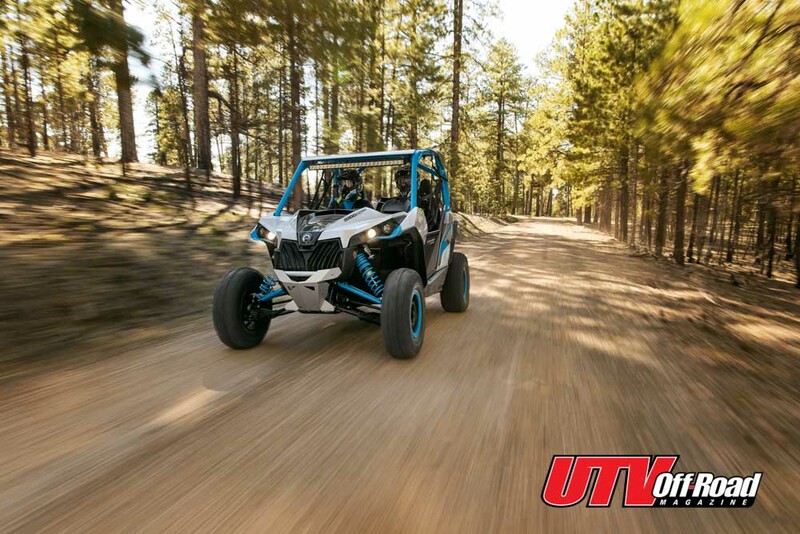 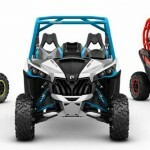 The all-new Maverick X rs 1000R Turbo and MAX X rs 1000R Turbo vehicles share the 131-HP Rotax engine, longer wheelbase and rear TTA suspension with 16 inches (40.6 cm) of suspension travel. The package includes a 4-point harness system, Yoshimura exhaust, rear bumper and a suspension calibration tuned in partnership with FOX to provide optimal results in fast-paced whoops. 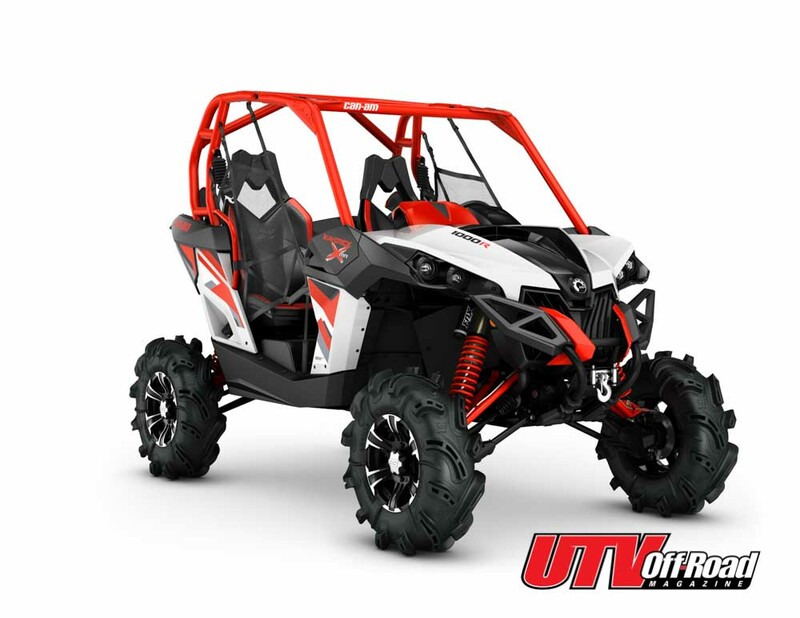 It comes in a unique dipped Carbon Black & painted Can-Am Red color pattern. 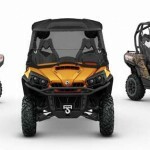 The all-new Commander Mossy Oak Hunting Edition is outfitted with many key essentials hunters demand for a day in the field and is the direct result of a marketing agreement between BRP and Mossy Oak. 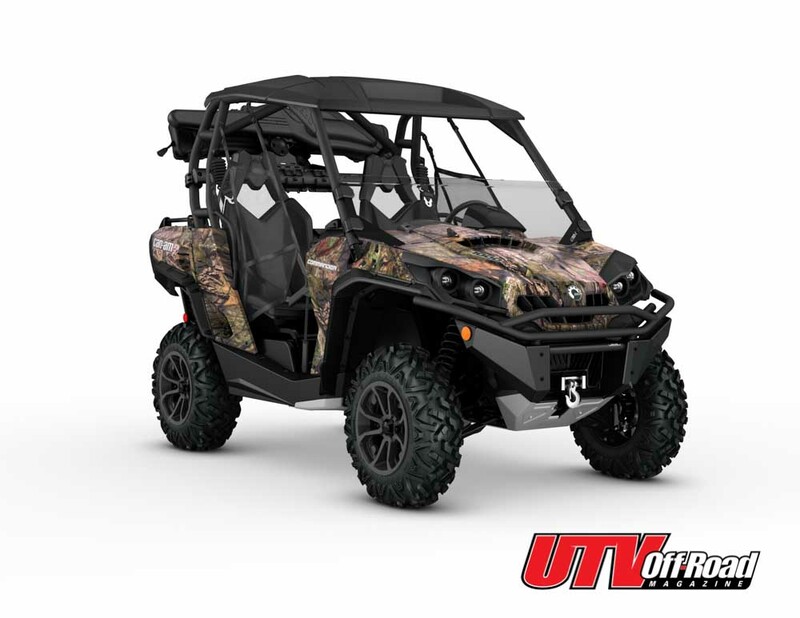 Purposely configured with hunters and outdoorsmen in mind, the Mossy Oak Hunting Edition includes several of the standard XT package items (bed rails, mudguards, bumper, wheels, tires and WARN† winch), yet also gets a few unique features as well. 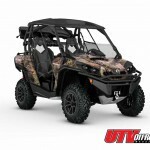 The most noticeable are the new water-dipped Mossy Oak Break-Up Country Camo, gun scabbards, front bumper, aluminum skid plate, roof and half windshield. 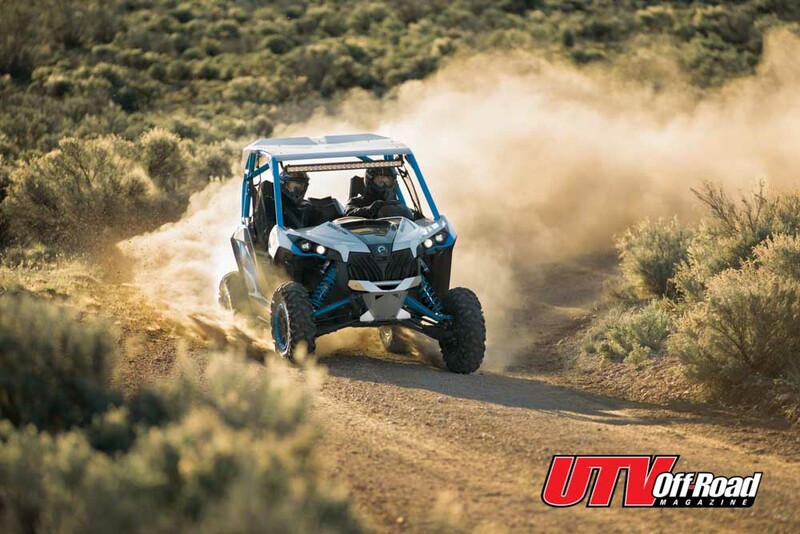 Can-Am has made a significant improvement to each off-road vehicle’s maintenance procedure for 2016. 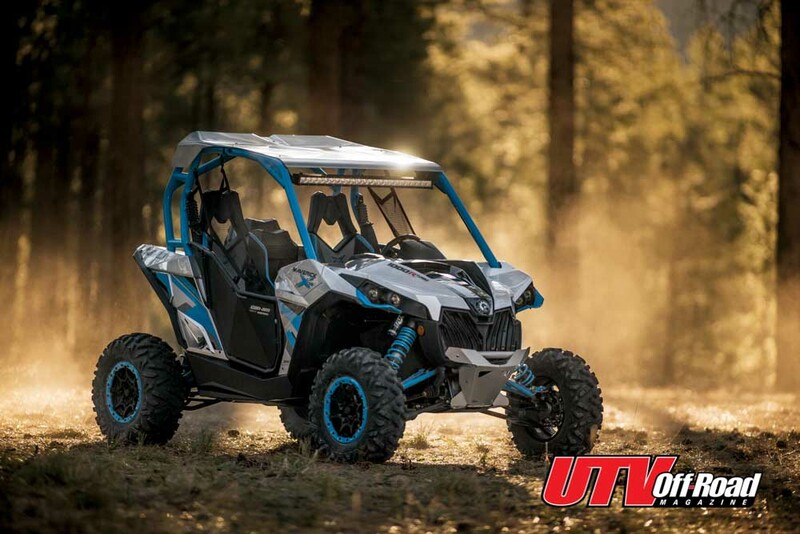 The 300 km / 200 miles break-in inspection has been replaced by 1,500 km / 1000 miles, which will effectively reduce ownership costs. 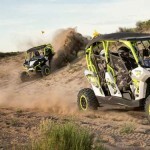 The performance-laden Can-Am off-road vehicles remain as reliable as ever, but are even easier to maintain. 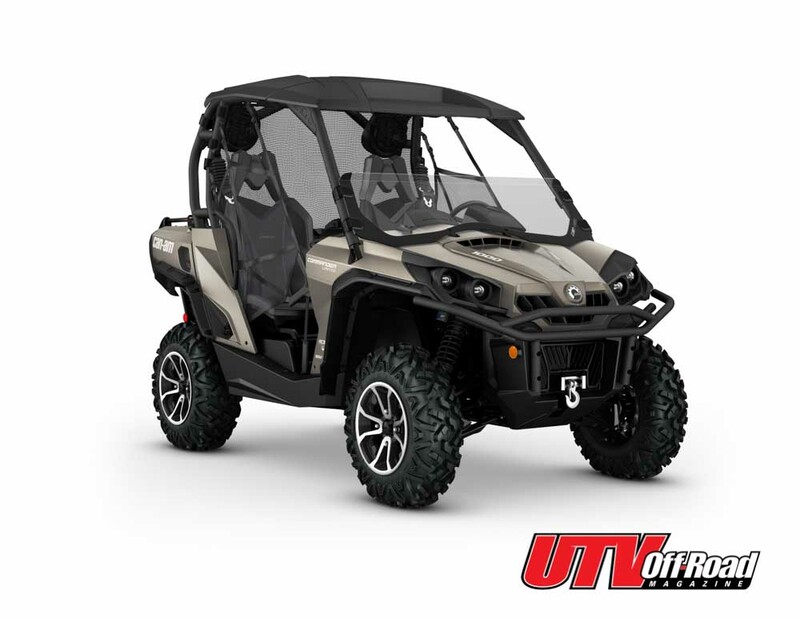 The Commander MAX line of side-by-side vehicles comes standard with a CVT transmission with an all-new Electronic Drive Belt Protection. The integrated Electronic Drive Belt Protection offers belt-spotting protection for when a driver is in high gear, but should be in low gear. The vehicle will not move and a “LOW GEAR” message will appear on the gauge, alerting the driver. 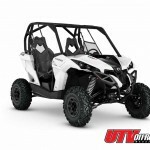 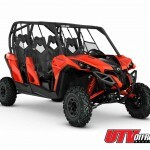 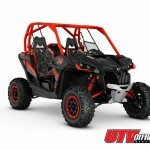 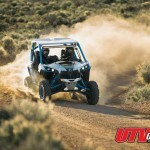 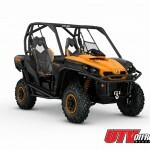 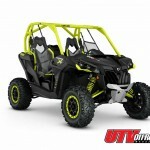 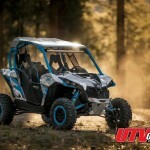 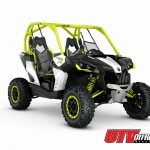 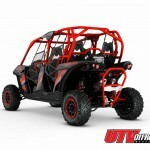 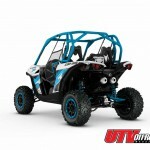 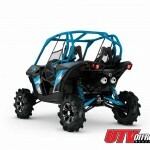 The system is currently available as optional equipment on other Can-Am side-by-side vehicles. 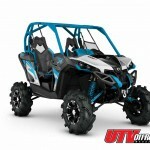 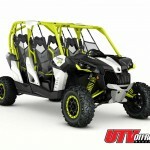 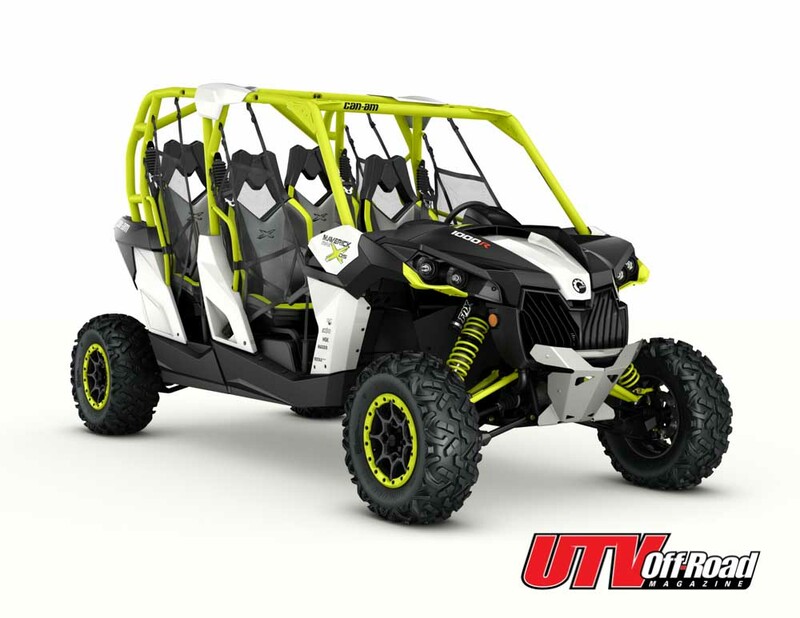 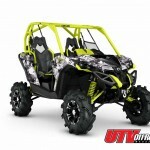 The Can-Am design team worked diligently to create new color schemes for the 2016 ATV and side-by-side vehicle lineup. 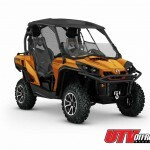 The new premium Cognac color was added to the Limited packages. 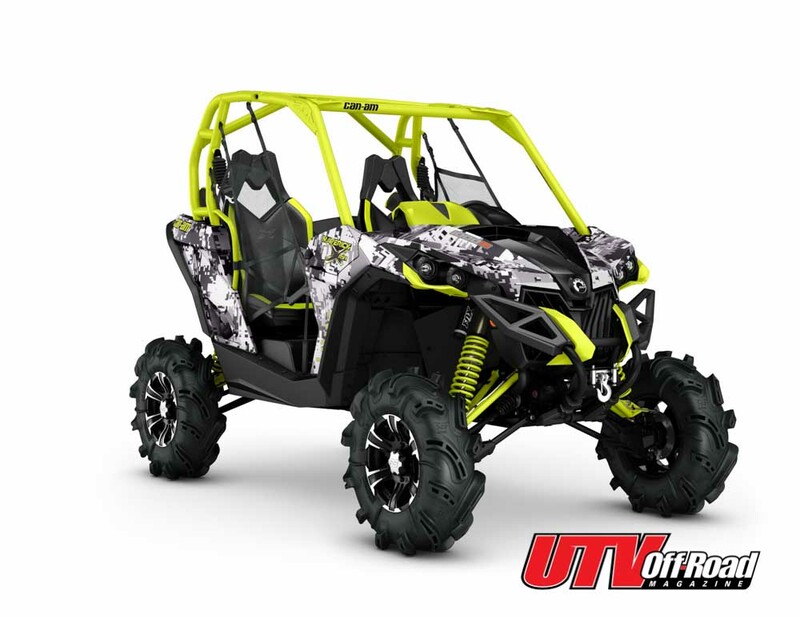 The new Green and Mossy Oak Break-Up Country Camo colors fit the requirements for both recreational and hunting enthusiasts. 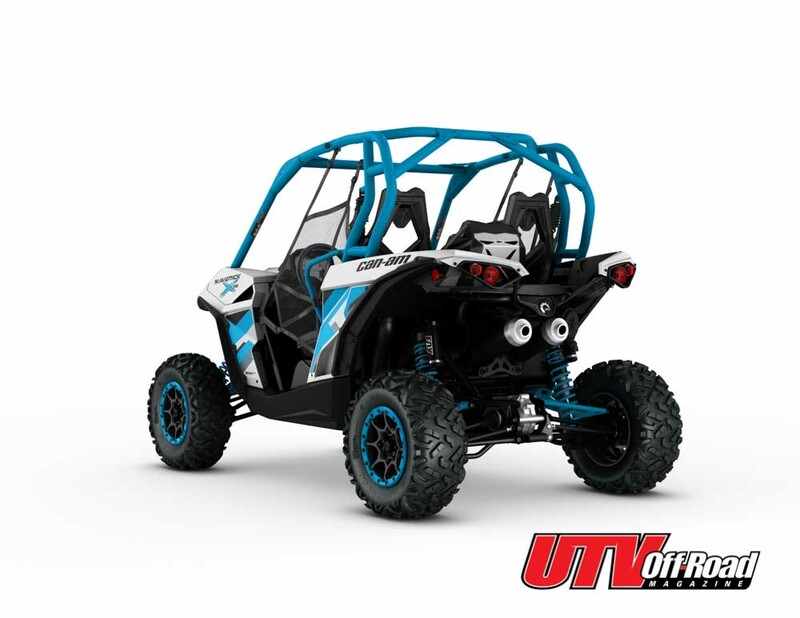 Octane Blue, Light Grey, Matte Black, Hyper Silver are some of the other new colorations offered this year.